Honors Orchestra is for students in sixth through ninth grades with at least two years of string study. This select ensemble rehearses daily for two weeks to present a concert of quality string orchestra literature. Former Youth Ensemble for Strings (YES) and Junior Youth Orchestra (JYO) members are automatically accepted into the Honors Orchestra. Sixth graders without YES or JYO experience may be asked to audition. 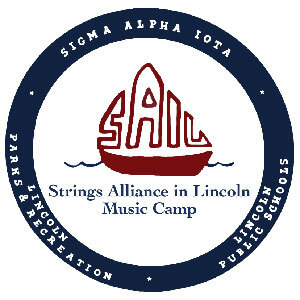 Honors Orchestra meets during both weeks of SAIL Camp from 3:30-5:00 pm. The dates and locations of Honors Orchestra and SAIL Camps can be found here. Tuition is $95 and includes instruction, materials, a daily beverage break, a photograph, and a SAIL Camp t-shirt.